The crowed erupted with laughter, because that’s not at all what we were thinking. 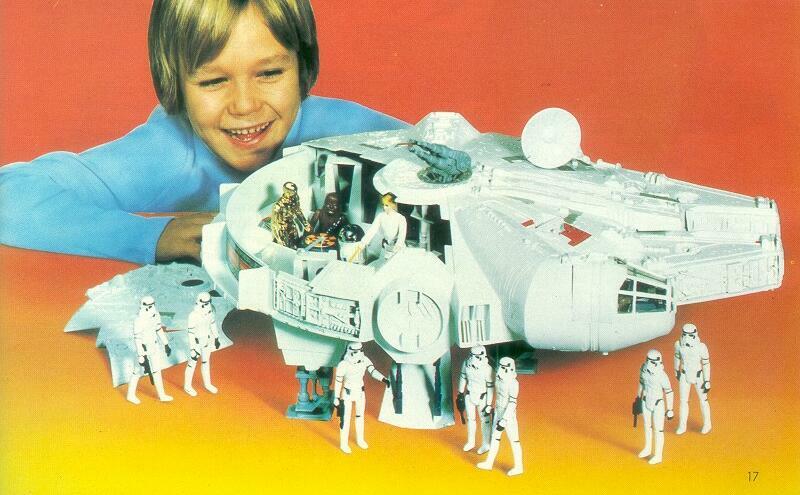 This was George Lucas’ world and we knew nothing about it. There is no way we would have known that the ship was considered a piece of junk without that clever bit of dialogue. One of the things that drives me crazy when people talk about “good dialogue” is that they never talk about how well it’s used, only how it stood out. Some of the best dialogue is quiet and subtle and reveals things about plot, theme, or character, with the precision of a surgeon. Sometimes that means it’s not quotable, but quotable dialogue is not the primary job of a storyteller. The first time I noticed this technique, I was watching John Carpenter’s The Thing. In the film, an alien creature with the ability to assume any form terrorizes a group of men in an isolated research base. This kind of dialogue can save you when you think you may lose your audience. Sometimes audience members need a representative within the narrative. It allows you to address and dismiss their concerns so that they can stay engrossed in the story. A very famous “Address and Dismiss” is in Butch Cassidy and the Sundance Kid, when they are trying to escape the super-posse by jumping off a cliff into a river. All of these examples get laughs from the audience. I think it’s because it’s another kind of truth-telling. It’s a tricky tool because it could pull people out of the scene. It is a kind of wink to the audience that lets them know the storyteller knows that maybe she’s gone too far; but when used correctly, it is seamless—invisible. Over the last few years, I have noticed that every character I read, or see in the movies or on television, sounds like another movie or television show. Real people don’t talk like movie people. Listen to how people speak. They didn’t all grow up in your neighborhood, nor do they all have your educational background. Because I’ve worked in both animation and comic books, I know a lot of illustrators. 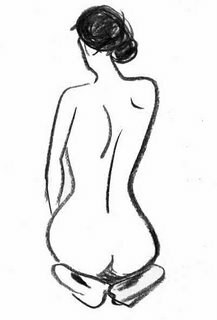 One of the things that I learned is that the good ones always do life-drawings. They learn to draw the human figure from looking at a human figure. Sounds obvious, huh? Well it’s not. Many comic book artists learn from copying other artists. These people are never as good of draftsmen as their life-drawing counterparts. They will often hear the advice, “Draw from life.” This is good advice for us all. When you write dialogue, or anything else, think of yourself as a puppeteer. You are hiding under the table; you don’t want anyone to be thinking of you. You want their attention on the puppet. Once they are thinking of you, you’ve lost them. This does not mean you can’t have a character say witty, funny, smart, profound things, but it had better be the character talking, not you. As a storyteller, your job is to get out of the way of the story. This isn’t about you. It may be about what you have to say, but it isn’t about you. Let go of your ego. Most people are under the impression that scriptwriting is coming up with dialogue. Most critics seem to think this as well. They will go on and on about dialogue, but they know nothing about drama, or how it is structured. I feel like dialogue is talked, and written about, way too much. It is the writing that people can see, so they focus on it. Of course, you know, now, how much more there is to story construction. But I suppose I must write a little about dialogue. Remember that invisible ink is the writing below the surface of the words. This invisible ink keeps the audience’s brains active. Subtext is a kind of invisible ink. The dialogue exchange that follows is something I heard at a friend’s house, over a Christmas breakfast, between a mother and her grown daughter. Daughter: Yeah, I had a cold. It’s going away, now. Mother: You should take care of that. How long have you had it? Daughter: I’m fine. It hung on for a while. I’m fine. Mother: It’s going away? You taking anything for it? There is nothing unusual about this conversation. But here’s the thing: The daughter’s husband had recently died of AIDS. The daughter also had AIDS, but was not yet showing any signs of the disease. Read the exchange again with that in mind. That’s subtext. That’s invisible ink. Lots is being said, but not spoken. Subtext is all in the set-up. Once you establish that two characters hate each other, for instance, all you need to do is put them in the same room together and have them talk about the weather—the audience will do most of your work for you. Dialogue is a tool, and just like any tool, you use it when you need it. It can be used to define your armature, give essential plot information, or reveal character. If it isn’t doing that it isn’t doing anything.